I first met Dan Berrigan thanks to Dorothy Day. In the latter part of 1961 she had brought me with her to a small gathering in an apartment on the west edge of Harlem in uptown Manhattan. At the time I was managing editor of The Catholic Worker. Dan had come down from Syracuse to attend. He was a lean, wiry man with closely-cropped black hair dressed in tailored black clericals and a Roman collar. He was introduced to us as a poet who had won the Lamont Poetry Prize and was currently teaching theology at Le Moyne College, a Jesuit school, where he also had founded an international house at which students were living in community in preparation for justice-oriented work in Latin America. Introductions over, Dan pulled a sheaf of paper from an inner jacket pocket and proceeded to read aloud an analysis of Catholic social teaching and the impact of Pope John XXIII. I have no doubt that it was an excellent essay, suggestive in style and content of all that would, in the coming years, become so widely appreciated in Dan’s writings. His prose always bore the stamp of his poetry. For better or worse, however, honesty requires the admission of my having a hard time keeping my eyes open and my ears alert — I must have had too little sleep the night before. I became more attentive during the discussion, but by then it was late and all too quickly we had to go our separate ways. As we closed the apartment door behind us and began making our way back to the subway, I recall Dorothy was annoyed. “Just like a priest!” she snapped. “He didn’t leave room for anyone else to talk!” But on the subway she became more positive, recalling Dan bringing high school students to the Catholic Worker in the mid-fifties. The next day she asked me to write “Father Berrigan” — she never referred to priests informally — and request a copy of his paper. “I need to read it again. It might be something for us to publish.” This was a pattern I gradually came to anticipate in Dorothy, irritable one day, more positive the next. After that first encounter, I didn’t see Dan again until a few years later, mid-June 1964, when he was on sabbatical and I was one of several Catholic participants in a traveling European seminar headed to Prague, where we would participate in an ecumenical conference of Christians, east and west, concerned about peace. Dan was already in Paris, our first stop, when we arrived. At the time he was living as chaplain with a group of students on the Left Bank. At first sight I didn’t recognize him. The tailored clericals and Roman collar had been replaced with a black cotton turtleneck, trim black chino slacks, a faded green windbreaker jacket, and a suede leather tote bag slung over his shoulder, his mobile library and wine cellar combined. The transformation of clothing was less striking than Dan’s face. Three years of breakthroughs and setbacks had marked him. In 1961 he had struck me as a well-turned-out cleric taking root in academia like so many bright, up-and-coming Jesuits. Now his face seemed blizzard-worn, the pink blown away. In its place was bleached Maine rock etched with experiences of winter. Our three-day Parisian stay included street searching, river walking, bread buying and wine sipping plus meetings with several remarkable people, including two “worker priests,” plain-clothed men whose mission was in factories rather than parishes. We also spent several hours with Jean Daniélou, fellow Jesuit and eminent scholar of the early church. Daniélou spoke to us about theologians of the first centuries of the Christian era, such saints as Gregory of Nyssa and his brother Basil the Great, who, using a modern term, could be described as pacifists, that is people for whom killing other human beings for any reason was a rejection of Christ and his gospel. We traveled together from Paris to Rome and from there on to Prague. One night in Prague the several Catholics who were participating in the seminar resolved to found, on our return to the U.S., a group we christened the Catholic Peace Fellowship. 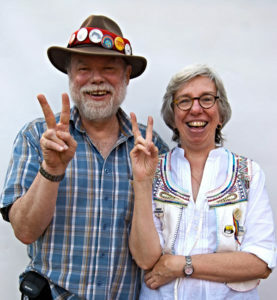 Our main goal, we decided, would be to organize Catholic opposition to the Vietnam War, then in its early stages as far as America was concerned, and as part of that endeavor launch a national program to make known the fact that conscientious objection to war was an option not only for members of specifically pacifist “peace churches” like the Quakers and Mennonites but for Catholics as well. Both of us back in New York, Dan was assigned to be one of the editors of Jesuit Missions, a monthly magazine, and I left my newspaper job to work fulltime for the Catholic Peace Fellowship. Tom Cornell, another former editor of The Catholic Worker, soon joined me. Beginning in January 1965, the three of us normally met once a week in Dan’s one-room apartment for Mass, to read letters the CPF had received, and to decide on other aspects of our work. One of the Catholic Peace Fellowship’s most significant achievements in the years that followed was publishing a booklet, Catholics and Conscientious Objection, that went through more than 300,000 copies. I was the author; it remains my one runaway best seller. At fifteen cents a copy, it was out of no one’s reach. 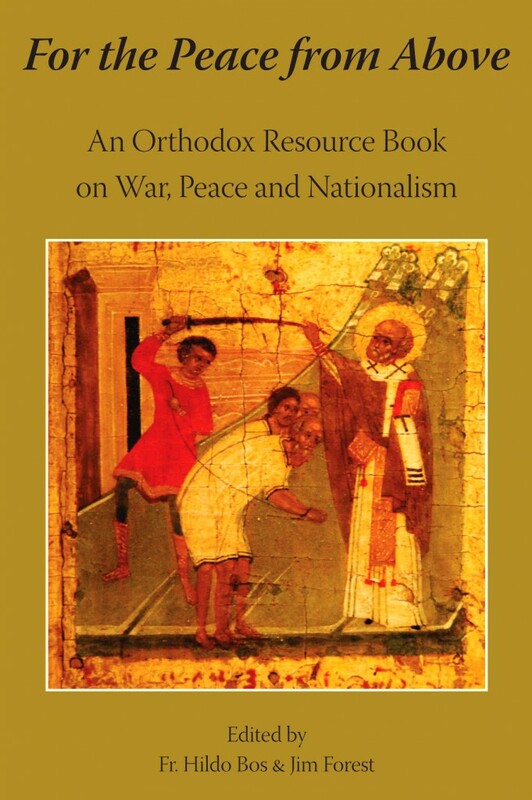 That booklet, whose orthodoxy was certified by an imprimatur from the Archdiocese of New York, was a factor in explaining how it is that so many thousands of young Catholics refused to fight in Vietnam. Dan was of course pleased that our work was having a certain impact in building opposition to the war, but by 1968 decided it was time not only for opposition but resistance. On the 17th of May, with his brother Phil and seven others, he burned 378 draft records in a parking lot adjacent to a draft center in a Baltimore suburb. The event was headline news. The Catonsville Nine, as they were known, are still being talked about. “Our apologies, good friends, for the fracture of good order, the burning of paper instead of children, the angering of the orderlies in the front parlor of the charnel house. We could not, so help us God, do otherwise. For we are sick at heart. Our hearts give us no rest for thinking of the Land of Burning Children…. “All of us who act against the law turn to the poor of the world, to the Vietnamese, to the victims, to the soldiers who kill and die for the wrong reasons, or for no reason at all, because they were so ordered by the authorities of that public order which is in effect a massive institutionalized disorder. We say: Killing is disorder. 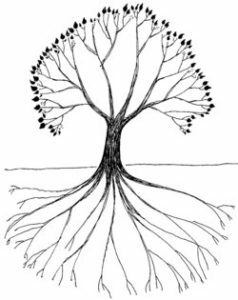 Life and gentleness and community and unselfishness are the only order we recognize. “For the sake of that order we risk our liberty, our good name…. How many … must die before our voices are heard? How many must be tortured, dislocated, starved, maddened? How long must the world’s resources be raped in the service of legalized murder? When, at what point, will you say no to this war? We have chosen to say, with the gift of our liberty, if necessary our lives: the violence stops here, the death stops here, the suppression of the truth stops here, this war stops here. The nine defendants argued in court that attempts to impede an immoral and illegal war — to prevent the commission of war crimes — should be seen as justified, like running a red light to get a gravely injured child to the hospital. Not surprisingly, the court was not open to such arguments. For a time the nine, though convicted and sentenced to three years confinement, were free while the judgment was being appealed. During that period of court-authorized freedom, Dan wrote a play based on the trial of the nine. It’s something of a modern Greek drama in the tradition of Antigone. It was also made into a film produced by Gregory Peck. The script has become assigned reading in many classrooms. The play continues to be performed all over the world. Declining to exit the stage in order to begin serving his sentence as scheduled, Dan went underground. Sheltering in a Sherwood Forest of friends and friends of friends, Dan led the FBI on a Robin Hood-like chase that lasted four months. 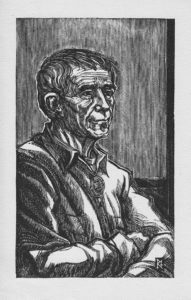 Daniel Berrigan, Jesuit priest, poet and theologian, was placed on the FBI’s “Ten Most Wanted” list. In the annals of crime in America, he was the only person ever promoted to that august rank who never possessed a deadly weapon and posed a threat to no one’s life. They should have added a sentence: “This man is disarmed and dangerous.” While in hiding Dan did television and newspaper interviews and even preached in church one Sunday morning. I had a meeting with him one evening in an apartment a short walk from the FBI’s Manhattan headquarters. Dan seemed to be available to anyone and everyone except FBI agents. Finally he was found and handcuffed while staying in a hermitage provided by friends on Block Island. Not long afterward he and Phil were on the cover of Time magazine. It takes a book to review all that happened in Dan’s life in the decades that followed — a remarkable journey in which the homeless, the gravely ill, those dying of AIDs, the unborn, all played a part. Dan taught in various schools and traveled widely. New books by him appeared every year. He was arrested over and over again for acts of protest. Dan’s life was shaped by the conviction that God does not sanction killing and that the way to heaven is the way of nonviolence and mercy. If you are drawn to take a closer look I recommend my biography of him. Rather than present year-by-year details of his remarkable life, instead let me share with you ten things that I suggest we can learn from his life. I can only tell you what I believe. I believe I cannot be saved by foreign policies. I cannot be saved by sexual revolutions. Holding in his arms children whose deaths would have tearlessly been written off as “collateral damage,” it became impossible for Dan not to love the enemy. The enemy was no longer a gray cardboard cut-out with a political label pasted on it but a unique and vulnerable human being made in the image of God. 4) Stay close to the sacraments. I recall Dan saying, “Jesus founded a church, not a book club. We will not study our way into heaven.” Dan stressed that the Last Judgment is not a theological exam in which the winners are the clever ones with the highest scores — mercy is what matters, not IQ. But what is the church, I asked. After much conversation, we agreed on an imprecise definition that went something like this: the church is a mystery hidden in institutional rags. It’s where we go for bread that is more than bread and wine that is more than wine. The church is both guardian of the word — the sacred texts — and curator of the sacraments. Not that it’s always the caretaker one would wish for. For too many popes, bishops and priests, the church has been a base for a ladder-climbing career. Yet we’ve never been without saints, loads of them, ordinary lower-case “s” saints, that is people who in one way or another lead Christ-shaped lives. Dan was one such witness, while his own mentors included Dorothy Day and Thomas Merton. Among the great joys of life was joining Dan in the celebration of the Mass. The style of our bread-breaking was as simple and graceful in line as a Shaker chair. A prayer for forgiveness was followed by intercession for friends who were ill or in difficulty. We took turns reading the appointed texts for the day plus perhaps a supplementary reading from a more-or-less modern source. After the readings, silence. Then some reflection on the readings. More silence. Then a simple canon prayer read by Dan from the Bible Missal, a Mass book widely used at the time. More silence. Finally, after the unspectacular miracle of consecration, came the sharing in that quiet miracle, and more silence, perhaps some more prayer, and an embrace at the end. Everything we achieved was founded on this eucharistic bedrock. Another great help was going to confession with him. The confession with Dan that I remember best happened toward midnight in Manhattan in the mid-sixties. Dan and I were walking back toward his residence after a meeting with college students. At the time confession was becoming an unfashionable sacrament. The argument ran, “God knows, why tell a priest?” For many social activists, sin’s main validity was chiefly in the public sphere: complicity in war crimes, greedy use of the planet’s resources — social sins, sins we commit en masse. But I was unable to shake off a painful awareness that I was also guilty of sins of the old-fashioned variety. 5) Stick with your commitments. The sixties was a decade in which a great many commitments unraveled for lots of people. Dan’s did not. There was for example his unbreakable bond with the Catholic Church despite his frequently expressed criticisms of its many failures, its damaged history, its institutionalism. Dan remained a Jesuit. This is remarkable given the fact that many Jesuits would have been pleased had Dan been severed from the Society. Expulsion came close on more than one occasion. “This is the Society’s Jonah option,” Dan told me, “with myself playing the part of whale food.” Shortly after his release from prison, Dan moved into a Jesuit residence in which not everyone was honored to have the prison-stained Daniel Berrigan in their midst. “Such arrogance!” said one elder. “He is in the Society but not of it,” said another. Happily, a few years later, he became part of another Jesuit community in which he felt truly part of a family. By the time of his death he had become one of the boasts of the Society of Jesus rather than one of its embarrassments. In a period when celibacy was regarded by many as an indication of mental illness, Dan remained a celibate and even managed to joke about it. I recall an exchange with Dan at a Student Christian Movement conference in Sheffield, England in 1973. The question was raised, “Father Dan, would you please explain celibacy?” Without skipping a beat, Dan replied, “Forgive me, I forgot to bring my celibacy slide show.” Much laughter, but that was all the answer the questioner pried out of him. He hung onto his family as well, including his difficult father, a good man in many respects but too often possessed by his volcanic temper. As a boy, when his dad was present, the first lions’ den Dan ever occupied was his own home. Dan even hung onto America. His dissident actions were animated not by contempt or a desire to live elsewhere but, he remarked more than once, by “outraged love.” “Outrage” is an adjective; the key word is “love.” His patriotic labor was to help create a post-imperial America that had ceased making weapons of mass destruction, given up imposing regimes in other countries, and no longer treated anyone anywhere like Kleenex. 6) Visit the sick. In one way or another Dan undertook all the works of mercy, but perhaps none so intensely and so often as visiting the sick. For years he was a volunteer at Saint Rose’s Home, where a community of Dominican nuns and their helpers cared for penniless people dying of cancer. Next came more years of volunteer work with AIDs patients at Saint Vincent’s Hospital. Dan had a remarkable gift for connecting with people who were on the border line of the graveyard. He wasn’t embarrassed to talk about death or to hold hands with the dying. He had a talent for not coming on as a cleric whose goal was to squeeze a deathbed conversion out of you. Mel told me afterward that no medication he was taking, no book he had read, had done so much good for him as those five words. They were a kind of lightning flash. In the light of that flash, Mel said, “was the resurrection of Jesus, as real as the streets of New York.” He knew at once that he was in the midst of the most remarkable experience of his life. Nose to nose with death, suddenly he felt intensely alive. Perhaps it was that flash of lightning that somehow pushed the cancer back. In any event Mel, who had come into Dan’s class expecting to die within months, lived another seven years, finally dying in a fire. In what Mel called his “extra years,” he devoted himself to work with Vietnamese refugees. 7) Avoid burn-out. Dan once remarked, “Too many people I know are over-worked and under-joyed.” Dan, however, was not under-joyed. Dan went for a good long walk every day, often alone, sometimes with a friend, until his legs were no longer up to it. What was he doing? Praying part of the time, often just looking — at faces, at plants, at passing traffic, at shop windows. Just breathing, just being alive. An elderly lady I used to know once advised me, “Only read things that make your heart beat.” Dan thought this was excellent guidance. The last time Dan was a guest in our home I was surprised to notice several mystery novels lying on the floor next to his bed. I’m not sure what I was expecting him to read. Maybe theology, maybe political science, maybe the news. But finding out who killed Major Green with a hatchet in the library helped keep Dan from drying out. 8) Pay attention to the prophets: During the last two decades of his life Dan’s published work centered on biblical studies with books on the prophets a major focus. There was a ready-made affinity. The prophets of Israel and Dan Berrigan of New York City were God-haunted persons inclined to make gestures that spoke louder than words. They were outraged with injustice, outspoken, often overcome by sorrow and anger for the ways their countrymen ignored divine commandments, abused creation, hated their neighbor, and worshiped almost anything but God. Dan devoted a book to his biblical namesake, Daniel, a Jew-in-exile who served the Babylonian king honestly but not unconditionally. When he refused to worship idols as the king commanded, Daniel was thrown into the lions’ den to be eaten alive. Instead he was given divine protection and the next day walked away from the lions unharmed. In the text’s Christian reading, Daniel provides a prophetic sign of Christ’s death and resurrection. Dan said no in a wide variety of ways and in many different contexts. Saying no to racism, he was one of those who went to Selma, though most of his anti-racist activity was in the north. He said no to war on a more or less daily basis from his thirties into his nineties. He said no to capital punishment, abortion and euthanasia. He said no to any ideology which justified killing as a method of improving the world. And all this meant on many occasions saying no not to adversaries but to friends and allies. 10) One last lesson: don’t let fear be your mainspring. Dan’s life and choices are full of challenges for each of us. What keeps us from doing what needs to be done? Why do we lead such cautious lives? What keeps us from having a life that in some sense that is shaped by the works of mercy? What keeps us from saying “no” when a “no” is needed? Why do we battle so few dragons? The answer is fear. One of Thomas Merton’s most important essays, first published in The Catholic Worker in October 1961, explored his insight that the root of war is fear. No reader was more challenged by that essay than Dan. Days later he wrote to Merton. A friendship took root that lasted the rest of Merton’s life. Given the fearless choices Dan made, it is remarkable he lived so long a life and died of old age. 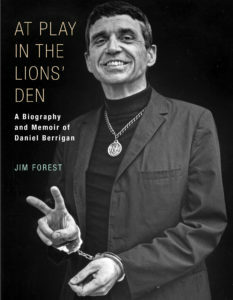 Jim Forest’s most recent book is At Play in the Lions’ Den: a biography and memoir of Daniel Berrigan (Orbis Book, 2017). His earlier books include biographies of Thomas Merton (Living With Wisdom) and Dorothy Day (All Is Grace).